All on ground floor: Living/dining room/kitchen. 1 double bedroom with en-suite bathroom with shower over bath and toilet. Oil central heating included.Electric cooker. No children under 10 years. 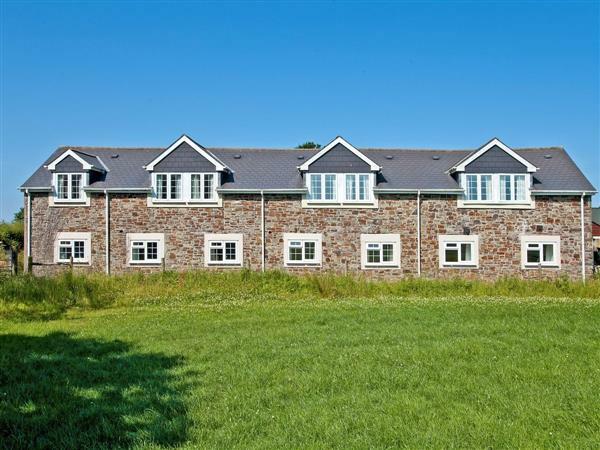 Situated in a barn conversion, these cosy and charming apartments are in a quiet part of the complex, but within easy access to all facilities. These apartments adjoin open fields and overlook the countryside. They are particularly designed for couples in mind, and children under 10 years are not accepted in these apartments. Holidays at Hawfinch, Moorhead Farm run from Friday to Friday. For a better idea of where Hawfinch is, you can see Hawfinch on the map below. Hawfinch is in Devon; should you be on the lookout for a special offer, you can find all the special offers in Devon. It's always worth checking to see what is on offer at the moment. Do you want to holiday near Hawfinch (B6134), you can see other cottages within 25 miles of Hawfinch; have a look to find your perfect holiday location.